The future breeder will have to meet many requirements, but the key issue is to ensure that the animals have adequate living conditions and the owner has enough time for them. These animals should not be housed singly. The isolation of a single stallion from the other alpacas is strongly discouraged. Also the males are herd animals. Our experience shows that the more stallions and / or geldings stay together in a group and they have more space for moving around, the better the mutual acceptance. In addition to the purchase of the stallion for breeding, there is the possibility of covering mares by individuals from outside. Mobile mating service, involving transporting a stallion to a mare, can constitute a potential threat to the herd. It is unknown where and what mare he had matted with or whether or not the stallion previously had matted earlier in the day, etc. It can therefore be a disappointment over the lack of desired pregnancy, despite the money spent. It is better to give up a few weeks the company of the animal, but in return get back a foal mare. Our breeding farm offers just such a model of cooperation. If breeding mares give birth every or almost every year, they must – if she does not do it on her own – at the right time separate her from the foal. It is best to keep them out of her sight and her voice. 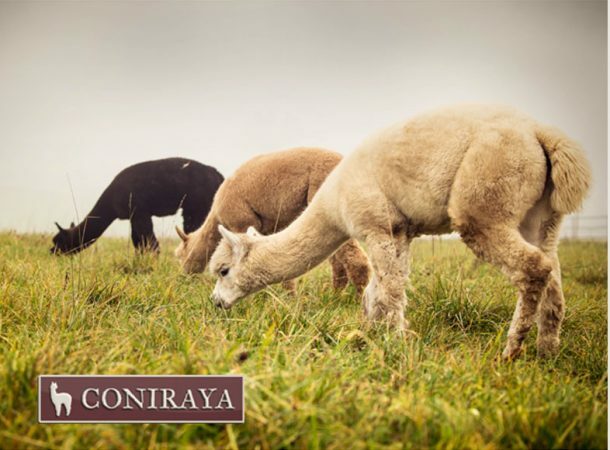 Alpacas developed in difficult conditions, so they accept food better than other domesticated species. But keep in mind a few basic principles of nutrition of the animals. In their diet grass and hay prevails.In the case of soils poor in selenium (selenium deficiency in pasture grass is common at our latitude), food should be enriched with the trace mineral. In the case of deficiency of selenium, it may be administered directly from Vitamin E in the form of injections or paste. Newborn foals are always administered or injected a certain dose of selenium and vitamin E. When the season is shorter in sunlight and green pastures, it is a good idea to enrich the alpacas’ menu with vitamins A, D and E to keep alpacas in good health. This mix of vitamins should be given to all youngsters immediately after weaning from their mother. 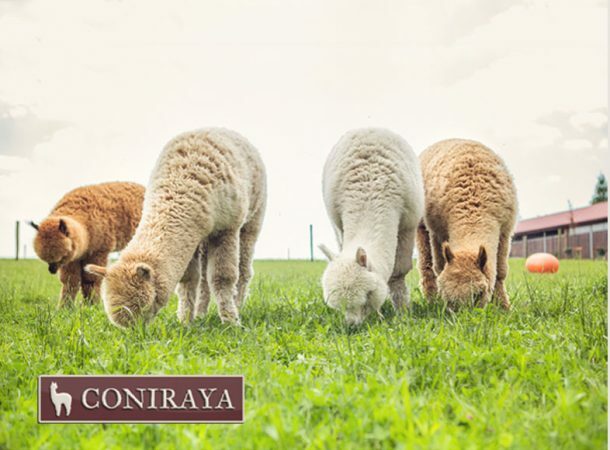 A convenience for breeders is the fact that alpacas belong to camelid, so they do not destroy the grassy surfaces of well maintained pastures. In addition, during feeding they do not pull out the vegetation, but carefully bite the tops off with thus wonderfully nurturing the landscape. It should also be noted that the manure from these animals is an excellent fertilizer. Pasture for alpacas should be surrounded by a fence with a height of 1.4 m for females and 1.5 m for males. In the latter case, at the top of the fence there should be installed a board or a beam, especially if females graze directly next to the stallions. On each hectare approx. 10 alpacas can breed (in the case of obtaining food from the same surface). Alpacas are not farm animals within the meaning of Polish law and hence do not require any additional permits or registration. Best to check the law in your country. Please note that alpacas are sensitive to food; poor quality hay or poor feed can cause premature births and even miscarriages. Also, as in the case of other ruminant animals, they succumb to specific diseases which require special treatment. Alpacas require regular and carefully performed procedures: deworming, vaccinations and clipping of the toe nails. Deworming should be carried out in a planned manner, after examining droppings using anthelmintic purchased at the vet center. Deworming should be 2 to 4 times a year, depending on the infection. The frequency of trimming the toe nails depends on the hardness of the ground: with soft ground, you should do it every 3 months and when the ground is hard every 5 months. The easiest way is to do it with scissors for trimming the hooves of sheep. 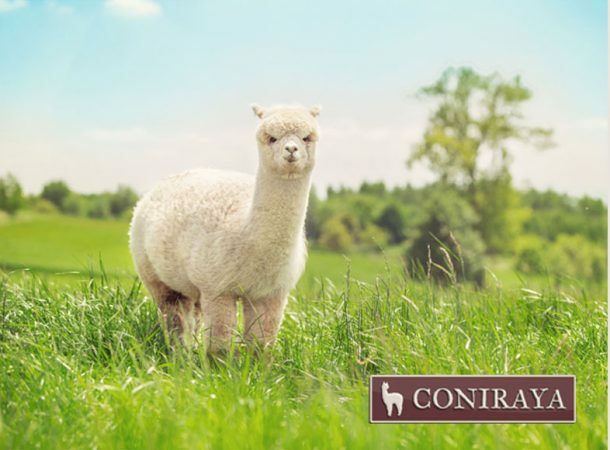 Alpacas should be vaccinated once a year with a recombinant vaccine against various infections, caused by clostridia (eg . : tetanus, blackleg, malignant edema and enterotoxicosis). An important element in the care of alpacas is shearing. It allows animals to adjust to the heat during high temperatures. This should be done once a year with the advent of the warm season and necessarily before the full summer. Immediately after clipping, they should be supervised to ensure that the animals were not exposed to extreme weather conditions, such as strong sunlight, low temperature or prolonged rain. Alpacas should be observed daily to be able to continuously assess their behavior during food intake and integration with the rest of the herd. Deviations from the “normal” are often important signs and constitute the first sign of change in their health. Behavior patterns, such as the establishment of common places to defecate, greatly facilitate breeding of these animals. On the walkway only a few places are needed to defecate, in the livestock building or in a covered shelter there is usually one collective point. This means that the livestock building and pasture can be kept clean with little effort. It is definitely easier and less time-consuming to have alpacas as a hobby. Primarily due to price, most people choose a small group of geldings. If the alpacas are regularly trained, you can easily take them on hikes or participate in tackling a track with obstacles. And in this case, it is also important to find the right animal. It would be a good idea to visit a few breeders and view at least a couple of animals at each breeder. It is important to pay attention not only to the price of animal, but also the way they are bred. It is worth noting eg. : whether the breeder declares its readiness to help even after the sale and whether they answer your questions. Be sure to look at the structure of the alpaca’s body and set of teeth. Even the finest fleece does not prove the health and well-being of the animal. Lack of experience in the assessment of alpacas can be overcome by taking part in courses organized by experienced breeders. Another option is to view the animal in the company of someone who knows the topic. Hastiness in selecting an animal is not recommended – better to devote enough time, rather than later regret a hasty decision. When starting such an adventure with alpacas, one should opt for animals who are capable of walking with the owner and are used to having their toe nails trimmed.